Living in the shadow of a bigger brother is never easy. However, with the right effort you can turn the odds in your favor and also have a lot of fun in the process. Nubia is definitely a prime example of a proper departure from its ZTE roots. In a little over a year, the Chinese brand has not only managed to make a name for itself, but they've also come up a surprisingly distinct signature look and feel. It's actually the "fun" part that seems to allow Nubia to stand out. With ZTE fighting battles on the mid-range front (where it's busy stirring things up with offers such as the Axon 7 and 7 Mini), Nubia is more prone to experimenting and pushing new things. Of course, this kind of thinking assumes some ZTE dependence is still in place, but regardless of Nubia's current corporate state, we will definitely argue that theirs is the more fun position to be in. Taking all this into consideration, we can safely view the new Z11 flagship as a major stepping stone in Nubia's short and still very dynamic life cycle. With its curved front panel, bold and aggressive design, the Nubia Z9 made a loud statement last year. It was out there in aesthetics and functionality alike - a strong calling card, but also an acquired taste by nature. Enter the Z11. With the word already out and at least a few heads turned, this year Nubia naturally tuned things down a notch. Second in its line, the Z11 is a much more mature offer. Its lines are cleaned and finishes more flush and unintrusive. Yet, the signature design is still there, understated, but alive and well in the accents. And the refinement doesn't stop there either. The once unwieldy and quirky Nubia UI has been stripped down and redesigned for a cleaner look. Sadly, the software "Spring Cleaning" has taken its toll on some intriguing past features, but the curvy front panel still has some impressive tricks. 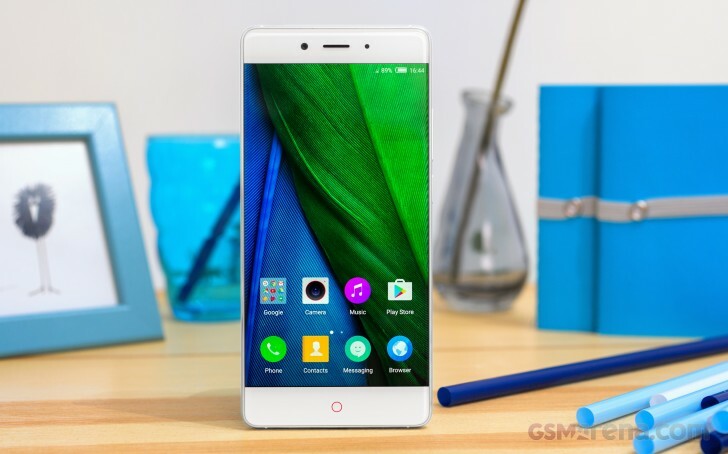 With a solid flagship specs sheet, stylish exterior and numerous refinements all around, the Nubia Z11 might just mark a new chapter in the budding Chinese company's history. However, the truth is always in the details, so follow along in the next chapter, as we take a closer look at Nubia's new flagship. What are the features missing in international rom? does it has French language as it is not sold in France? thank you.